While the tweets about Donald Trump were expected to be hysterical Thursday, the unexpected highlight of the night has definitely been the Ben Carson GOP debate memes. While the other candidates compete to be heard over each other, Carson has been waiting quietly in the corner. And Twitter is having none of it. When Carson was finally called on after a long silence, he seemed delighted, but couldn't help being sassy with Megyn Kelly, saying, "I wasn't sure I was going to get to talk again." This was 40 minutes into the debate and was Carson's second chance to speak. 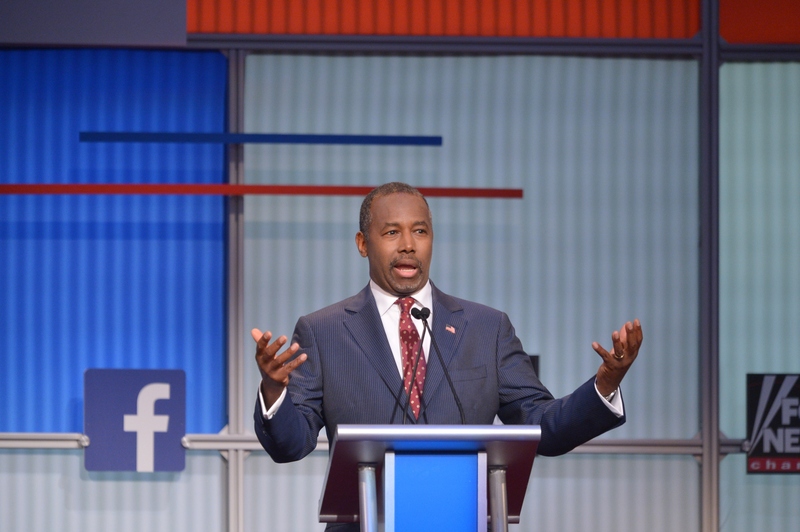 Although Carson may be lagging in speaking time, many on social media have applauded his statements thus far, particularly when his statement that, "There is no such thing as a politically correct war." Thus far, Carson has been focusing less on his medical background, instead favoring hard stances on foreign policy and defense. When asked about interrogation techniques for terrorists, Carson said, "What we do to get the information we need is our business. I wouldn't be broadcasting to everybody what we're going to do." Social media's reaction to Carson seems torn between wondering if he's awake and advocating for him to have more screen time. Unlike many of his peers, Carson has yet to raise his voice or hurl insults. Which, while not making for great TV, is a bit refreshing.